Epic Games have been busy putting together a new list of cosmetics for fans to download. While many of the new Fortnite skins revealed this week can only be bought through the online shop, there’s still been a lot of buzz around them. The sheer popularity of the game has made any new update pretty big news, with fans seeing a list of new cosmetic items arrive this week. This weekend saw the arrival of the Dark Vanguard Outfit and Space Shuttle gliders, among other new items. This was hot on the tail of the new Raven Outfit, another popular addition to the game on PS4, Xbox One and PC. Fans were even reporting buying the new skin for around 2,000 V-Bucks, and then dropping into game with multiple players sporting the same Outfit. The Dark Vanguard Outfit, meanwhile, can now be found in the Fortnite shop, costing around 2,000 V-Bucks. The Rocket gliders are also available to purchase, costing 1,200 V-Bucks, as part of Epic Games’ most recent shop refresh. It should be noted that there are two Space Shuttle designs, so it’s worth cycling between both before making a choice. As mentioned above, these new items are now available as Fortnite Skins in the online shop, not as Battle Pass additions. More new Fortnite skins are expected to drop in the near future, although fans may have to wait a week or two to get their hands on them. Reports are mounting on when Sony might announce their PS5 release date, the follow up gaming machines to the successful PS4 and PS4 Pro consoles. While there has been plenty of speculation and prediction made over when the new console may arrive, this week also saw news covering what it will be like. PlayStation 5 specs may have leaked ahead of the official Sony reveal, with a new report suggesting that PS5 dev kits are already in the hands of video game developers. SemiAccurate claims that the next PlayStation will use AMD’s 8-core custom Zen processor, as well as AMD’s next-generation Navi GPU. Other rumours suggest it will feature virtual reality technology “baked in at the silicon level”. This would no doubt lead to more advanced VR games and an improved user experience – hopefully with fewer wires. The report even suggests that the PS5 could have a release date in 2018, although this seems highly unlikely. 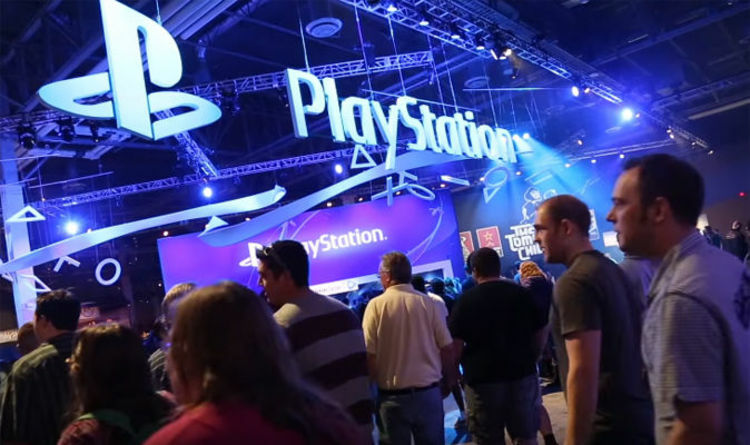 It’s possible that the console could be announced at this year’s E3 gaming expo, so stay tuned for more information. While it’s worth taking the leak with a pinch of salt, the same source successfully predicted the Nintendo and NVIDIA partnership for the Switch. Likewise, the source also had the inside scoop on the PlayStation 4 specs. If any of this information proves true, fans could be learning more about the new console from Sony in late 2018, or more likely, sometime in 2019. The big PS4 launch of Spider-Man has been given a release date in 2018. It has now been announced that the new Insomniac Games project will be arriving on September 7, 2018. More is expected to be revealed about the new game ahead of its launch, with E3 2018 looking like a good bet for a big trailer reveal. The PS4 exclusive Spider-Man game was unveiled with an in-game engine demo at E3 2016. The game stars a more seasoned Peter Parker who will need to balance his chaotic personal life with his career. It also contains new parkour abilities, not to mention environmental combat and “blockbuster set-pieces”. “Starring one of the world’s most iconic Super Heroes, Marvel’s Spider-Man features the acrobatic abilities, improvisation and web-slinging that the wall-crawler is famous for, while also introducing elements never-before-seen in a Spider-Man game,” the PlayStation Store page teases. “From traversing with parkour and utilizing the environment, to new combat and blockbuster set pieces, it’s Spider-Man unlike any you’ve played before. “Marvel and Insomniac Games have teamed up to create a brand-new and authentic Spider-Man story. This isn’t the Spider-Man you’ve met before, or seen in a movie. This is an experienced Peter Parker who’s more masterful at fighting big crime in New York City.